Normally Conservative group drops candidate after hearing multiple disturbing reports of Hagedorn’s radical and homophobic agenda. MADISON - The Wisconsin Realtors Association, a group that often backs conservative judicial candidates and has never previously revoked a candidate endorsement, is dropping its endorsement of Supreme Court candidate Brian Hagedorn after multiple disturbing news reports of Hagedorn’s radical, homophobic agenda, including reports that he founded a private school which actively discriminates against LGBTQ students and teachers. Wisconsin Realtors are additionally requesting Hagedorn return the $18,000 they donated to his PAC last month. MADISON - The Democratic Party of Wisconsin will announce today the filing of a lawsuit in federal court to stop the unprecedented and illegal laws passed by Republicans during December’s lame-duck session. Democratic Party of Wisconsin Chair Martha Laning will join Kevin Benish, associate at Holwell Shuster & Goldberg LLP to discuss the lawsuit, DPW v. Vos et al. on a press call TODAY at 11:15 AM CT.
WHAT: Press Call discussing DPW v. Vos et al. MADISON - A recap of this week's events "Under the Dome"
Both the Assembly and Senate were in session this week to take up a GOP spending plan that jeopardizes funding for schools, roads, and communities. The plan will create a greater deficit in the state budget while protecting tax giveaways corporations and individuals making over a million dollar per year. Additionally, the Black Legislative Caucus introduced a resolution proclaiming February as Black History Month and honoring individuals from the African-American community and their contributions to the fight for racial equity. Unfortunately, Republican Leaders opted to disrespect black leaders in the legislature by removing Colin Kaepernick, who was born in Wisconsin, from the resolution. Rep. Hesselbein (D-Middleton): Middleton and Dane County officers nominated for state Assembly 'Hometown Heroes' award. Sen. Smith (D-Eau Claire): Introduces Voter Protection Act as his first bill. Rep. Spreitzer (D- Beloit) And. Sen. Ringhand: (D- Evansville) propose lame duck limits. Rep. Pope (D-Mt. Horeb): Appointed to Speaker's Task Force on Water Quality. Rep. Gruszynski (D-Green Bay) Appointed to water quality task force: Calls for science-based policymaking and stakeholder participation to confront Wisconsin's water quality crisis. Rep. Anderson (D-Fitchburg): Wisconsin must stop the bleeding. Rep. Shankland (D-Stevens Point): Named Vice-Chair of water quality task force. Rep. Sargent. (D-Madison): Recognizing February as Teen Dating Violence Awareness and Prevention Month. Rep. Neubauer (D-Racine): Governor Evers joins U.S. Climate Alliance. Rep. Neubauer (D-Racine): Stand with the Black Caucus in recognizing Black History Month. Rep. Myers (D-Racine): Statement regarding AJR-8. Rep. Brostoff (D-Milwaukee): Statement in support of Colin Kaepernick's achievements. Rep. Shankland (D-Stevens Points): Thanks Governor Evers for including clean water initiatives in budget. Sen. Taylor (D-Milwaukee): Refutes GOP's censorship of Black History honorees. 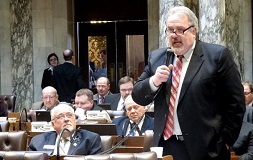 Sen. Erpenbach (D-Middleton): Column: The GOP spending bill hurts Wisconsin. Rep. Taylor (D-Madison): On the anniversary of Parkland massacre, Democratic state lawmakers relaunch Wisconsin Coalition for Gun Safety. Rep. Meyers (D-Bayfield): Red Cliff Police Department receives grant to fight drug trafficking. LRB1649- Ensure unemployment benefits for federal workers residing in Wisconsin in the event of a government shutdown (Sen. Taylor and Rep. Myers): This bill will would allow the Department of Workforce Development (DWD), which administers the Unemployment Insurance program, to make unemployment benefits eligible to claimants like the “essential” federal employees impacted by the shutdown. LRB1152- Prohibiting the assembly and senate from passing certain bills following a general election (Rep. Spreitzer and Sen. Ringhand): This amendment prohibits changes to the powers and duties of statewide constitutional officers, judicial branch judges and justices, the legislature, any state agency, or any other public entity created by law. LRB1058- Prohibiting GPS Monitoring for Truancy Cases (Rep. Stuck): Current law specifies which offenses can be subject to GPS monitoring orders by the courts. Habitual truancy is not one of those offenses. This bill codifies in statute that GPS monitoring may not be ordered in truancy cases. This bill will help to ensure that GPS monitoring is not ordered in any truancy cases in the future. LRB1404- Voter Protection Act (Sen. Smith, Sen. Miller, and Sen. Hansen): Comprehensive reform bill to better protect voters and make it easier to vote on Election Day. LRB 1811- Proclaiming February 2019 Black History Month (Sen. Taylor, Sen. Johnson, Rep. Crowley, Rep. Myers, Rep. Bowen, Rep. Field, Rep. Stubbs, and Rep. Haywood): Black History Month gives the nation and Wisconsin, an opportunity to recognize the significant contributions people of African descent have made, to the foundation, growth and development of our country and state. The month reminds us that our national history is diverse and multicultural, and implores us to respect the role that every ethnic group as played in the formation and sustainability of our great democracy. LRB 0725- SSG Daniel Busch Memorial Highway Bill (Rep. Considine, Sen. Erpenbach, Rep. Plumer, Sen. Olsen): Designating a portion of State Highway 33 the Staff Sergeant (SSG) Daniel D. Busch Memorial Highway. The Senate this week took up the Republican tax-cut bill, which would add $490 million to the state's deficit over the next ten years. Several joint resolutions were recognized including, National Speech and Debate Day, American Heart Month, and Republican version of Black History Month. Despite Senate Democrats advocating for diversity and inclusion, the Republican majority passed the amended resolution, excluding Colin Kaepernick from the joint resolution. Also in the Senate this week, the Republicans passed a tax plan-Assembly Bill 4, which benefits large corporations and the wealthy and rather than serving the best interests of hard-working families. Senate Bill 15: Relating to new internship grants and making an appropriation. Senate Bill 16: Related to career and technical education incentive grants and making an appropriation. Senate Bill 17: Related to workforce training grants for seminars in high-demand fields to teach new skills and provide micro-credentials and making an appropriation. The committee held a Study Meeting on Monday, February 11th to discuss bill drafts and recommendations, relating to determining child support, eliminating an administrative rule limitation on recovery of birth costs, and determining placement. The committee held an Executive Session on Wednesday, February 13th where it received the following study committee reports: Minor Guardianship, Use of Police Body Cameras. Identification and Management of Dyslexia, Investment and Use of the School Trust Funds, and Direct Primary Care. The Assembly conducted session a floor session on Tuesday, February 12th, passing the Republican tax bill (Assembly Bill 4) which benefits large corporations and the wealthy rather than serving the best interest of hard working families. The Assembly also passed several resolutions which includes: AR3, relating to proclaiming the month of February 2019 as Career and Technical Education Month in Wisconsin; AJR3, relating to proclaiming February 2019 to be American Heart Month in Wisconsin; AJR4, relating to recognizing February as Teen Dating Violence Awareness and Prevention Month; AJR6, relating to modifying the session schedule for the 2019-20 biennial session period. In addition, they passed the Republican version of the joint resolution on Black History Month (AJR8). The entire floor session calendar can be found here. There were no committee meetings held this week. Senate Bill 12: Eliminating deductions for moving expenses for businesses that move out of the state or out of the United States. 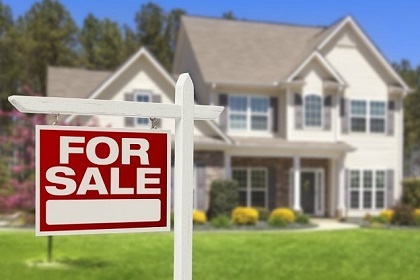 Senate Bill 13: Notification of changed property tax assessment for agricultural land. Senate Bill 14: An income and franchise tax credit for paid interns and making an appropriation. Senate Bill 19: Relating to: terminology changes for those with an intellectual disability in administrative rules. The committee will hold on a public hearing on February 21st on an update on education from the Department of Public Instruction. The committee will hold a public hearing and executive session on Thursday, February 21st. Sign Up For Under the Dome Below! 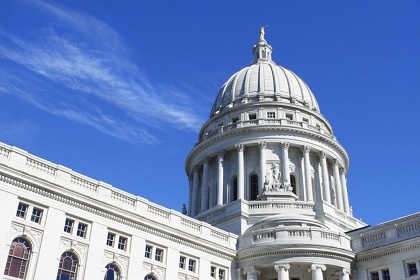 To view updated committee notices, visit the legislative website and click on Committee Schedule: Wisconsin State Legislature.